In less than a year, Predator by Schwinn has become a legend in the bicycle industry, breaking all previous Schwinn sales records. 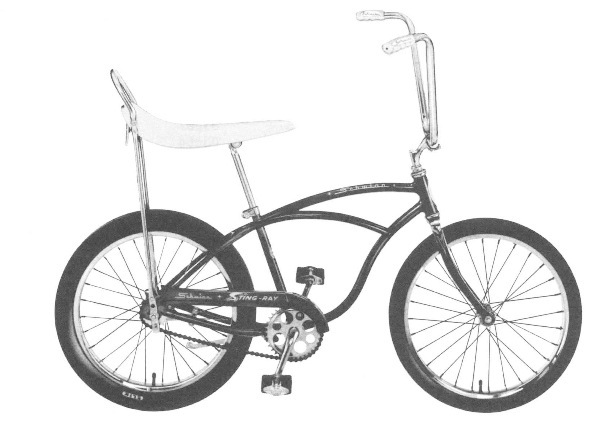 Nevertheless, Schwinn continues to improve the Predator and Thrasher lines of BMX bicycles. Several new models have been introduced for 1984, including the Predator P2200, Thrasher T130 and Thrasher T17. Also every model has been improved to include lighter weight frames and tougher components with a history of performance both on and off the track. You'll also want to check out the new Predator blue trim package and Thrasher chrome-plated frames. While Predator continues to change to keep up with your BMX needs, the best of Predator has been kept. The Predator name still means full 4130 chrome-moly frames and forks. When you hear the name Predator, you can depend on getting the best in BMX bicycle tubing. You'll also be able to easily narrow your choice of a 1984 Predator or Thrasher BMX bicycle with the help of the convenient technical specification chart at the end of this catalog. Every bicycle is clearly identified in the chart as to its intented use, and each part on every bicycle is described in detail to insure that you know exactly what you're buying when you take home a new Predator of Thrasher BMX bicycle. The Schwinn Factory R & D (Research and Development) BMX Racing Team is an elite group of BMX riders carefully selected to represent Schwinn on and off the track. In their individual classes they represent the most knowledgable, experienced riders in the country. The factory R & D Team not only represents Schwinn, they also represent you, the Schwinn customer. Schwinn riders are continually asked to test new parts to find out if they will stand up to the stress of competition. If it turns out that a part being tested is more "show than go", it doesn't get on a Schwinn bicycle. So, when you finally decide which Schwinn BMX bicycle is best suited to your needs and expectations, you can ride it with confidence knowing the Schwinn Factory R & D Team has helped you pick a winner! Schwinn has taken great care to assure that all of its 1984 BMX bicycles are designed and manufactured to withstand the normal stress which occurs in competition and offroad riding. Components, for example, are selected for use only after they have been tried in competition and survived. Frames are subjected to the most rigorous testing before they are approved for production. Strict quality control applies throughout production and assembly of Schwinn bicycles to minimize the possibility of defective parts. Despite all our efforts, a Schwinn BMX bicycle can break. In those rare instances when a failure is due to a defective part you can depend on the No-Time-Limit Schwinn limited warranty and the service of your Authorized Schwinn Dealer. For the full text of the Schwinn Limited Warrant see the back cover. Most failures, however, occur when the bicycle is stressed beyond design limitations, such as falling or during a crash. Even though such failures may be the result of accidents and not the fault of the rider, the responsibility for repair must be assumed by the rider. Following the rules of the road when riding on the street, and using reasonable care when practicing or competing will minimize the chance of accident and avoidable repairs. The Sting is engineered to maximize strength-to-weight ratio. The competitive edge for the experienced expert or pro riders starts with performance frameset... just ask top amateur rider Mike Poulson. His choice the Predator Sting. The main tubes are flared and ovalized at the joints, a Schwinn patented feature. The main tubes are also double-butted. And ofcourse, the Sting is built entirely of lightweight 4130 chrome-moly tubing. Start with the competition proven Sting frameset, then add your own selection of tricked out components and be ready for BMX action. Winning trophies will be easier on this full feature competition machine. "Ready to race right off the showroom floor," that's how Schwinn riders described the 1983 Team 24. A competition-level bike for 10-15 year old riders... novice or expert. The Team's toughness starts with a full chrome-moly frame and fork with bi-oval top and down tubes for superior performance both on and off the track. The Schwinn "P" Series Predators here and they're ready to race. All "P" Series Predators feature a full chrome-moly frame and fork with oval down tubes and aero fork blades. Built for competition or serious street riding each Predator has its own look. Like all Predators, the P2200 is outfitted with high performance Predator Skinwall tires that really hold in dirt. It's streetwise. Lightweight components make the P 2200 the right bike for expert or novice competitors. It's also great on the street. It has a Sugino chrome-moly 1-piece crankset with chrome spider and alloy chainring, Sunshine alloy hubs and Araya alloy rims. Competitive looks and features at a street bike price. The Schwinn Predators... a lineup of super performers that can make the competition eat dust on the track or turn heads on the street. Designed for BMX riders from 9 to 15 years old who want hot competition bikes at reasonable prices. Check 'em out! Schwinn Thrashers. The look, the feel and the durability of competition bikes at street bike prices. All frames are hitensile steel with down tube gusset. Standard Thrasher components include chrome plated "V" or crossbar style BMX handlebars, rattrap pedals with chrome-moly axles and Scrambler tire. If you're already into BMX or if you're lookin' to start, look into these bikes. The BMX look with the convenience and durability of coaster brake mag wheels. Get the feel of competition on the T1000 with its freewheel and handbrakes. The T130 has got the right stuff for off road riding or going to school. The Bmx look in a scaled down frame that is just right for BMX riders 7 to 9 years old. A BMX style bike that is specially designed for the younster from 4 to 7 years old.